All Quality Restoration’s professional home and commercial carpet cleaning can address moderate and heavy soil conditions in your carpets. Maintaining your carpet with professional cleaning will help your carpet look great and last longer. How often depends on soil build-up, traffic, type and color of carpeting, but we recommend having your carpet professionally cleaned every 12 months. The best advice is to clean carpets before they become totally saturated with soil. If you wait until your carpet looks really dirty, the carpet may never be restored to its former appearance. Dirt builds up in layers, and when a carpet looks dirty, you are only seeing the dirt at the tips of the fibers. More dirt is hiding below the surface near the base of the pile, causing damage to the carpet. 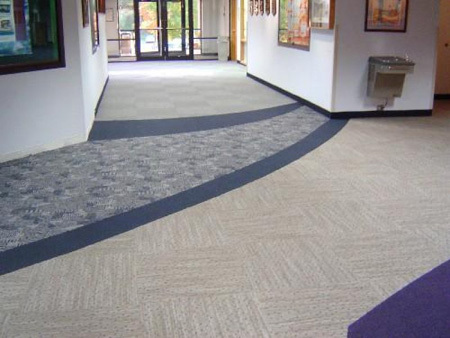 When a carpet is saturated with dirt, the soil has penetrated crevices and has become firmly lodged. At All Quality Restoration, we use a state-of-the-art truck-mounted high heat & high pressure hot water extraction method. This allows for the drying time to be between 2-4 hours after application. We also use a multi-step solvent steam clean process. We are also able to do just spot cleaning, insect treatments, and shampooing if needed. All Oriental & Karastan and Wool rugs are brought back to our facilities to have a special cleaning process specific to the style area rug that you have. There is no additional charge for the pick up and delivery of these special area rugs. At All Quality, our tile cleaning experts will professionally clean your commercial or residential tile and grout, making it look brand new again! 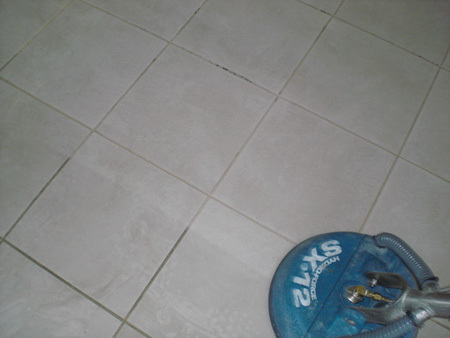 We use a multi-step solvent steam cleaning process for your tile and grout using a high pressure water extraction machine to make you tile and grout look like new. We are able to buff, clean and seal-coat your porcelain and ceramic tile, stone, marble, and granite. Call us today to schedule your appointment, or for more information. We can and will eliminate pet, smoke, and musty odors from you home using an Ozone system, leaving your home smelling fresh and clean.